You’ve heard it before, “butter will kill you and broccoli will save your life”. 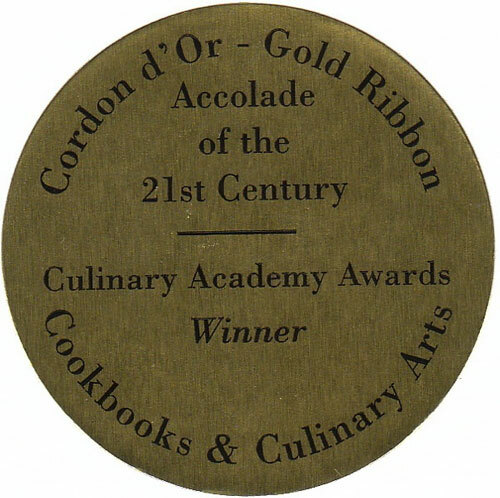 But culinary icons like Julia Child, Chef Michael Smith and Martha Stewart have always believed that butter is beautiful. Now that the heat has refocused on margarine, butter has never been more fashionable; nor has the opportunity to rediscover it, been more rewarding. All around the country, butteristas like myself have discovered something new to excite our palates; artisanal butter, produced in small quantities, from natural ingredients by small-scale producers around the world. I was first smitten by the butter bug at Savour Stratford. 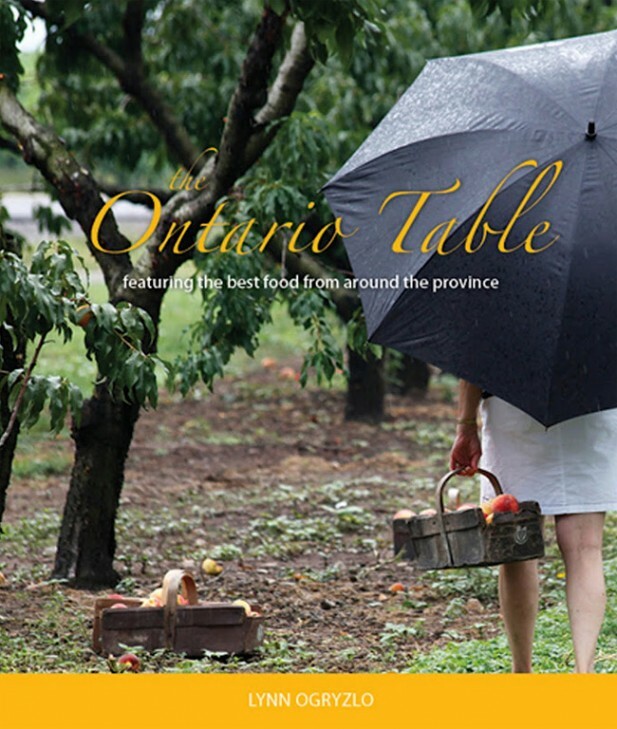 In a region dominated by agriculture and influenced by the Stratford Chefs School, Savour Stratford is one of the top food and wine events of the country. Among the duck confit with sauvignon blanc, the Berkshire pork with merlot, Executive Chef Jonathan Gushue of Langdon Hall bravely and simply served house butter on fresh baguette. One mouthful and I was instantly taken aback. The fragrant, creamy, rich, almost nutty, salty flavours began to luxuriate across my tongue and I swooned over the mouthful of rich, elegant, decadence. Gushue’s butter had the cleaness of a crisp Riesling, the brighness of crème fraishe, luxurious legs and the sweetness of a spring meadow. Flavours danced from sweet cream to heavenly vanilla and an almost nutty finish – almond perhaps. This might sound like the language of oenophiles or perhaps cheese aficionados. But it isn’t. It’s the new talk of butter lovers; people who travel for artisan butters, single butters that are made from a one herd, others that reflect a regions terroir, complex flavours from the fermentation of cultured butter and compound butters that absorb the flavour of their aromatic ingredient. Butter is a dairy product churned into a spread, yet all butters are not alike. Like wine, butter has many flavour compounds – over 120 of them to be exact from fatty acids to dimethyl sulfide. What this means is that all butters take on their own characteristics. But in order to show terroir or distinctiveness, it must begin with a pure, high quality ingredient – of which the majority of Canada unfortunately, does not subscribe to. In Canada we’re surrounded by a sea of commercial butter made with the milk of the high yielding, low fat Holstein cows. And why not? Canadians are obsessed with hating fat, but here lies the first problem. Canadian cream is a skinny 35% compared to the European 48% and it’s the butterfat content in cream that seduces us into loving butter. So how can our butter compare when we’re starting with inferior raw ingredients? Jason Parsons, Executive Chef of Peller Estate Winery Restaurant in beautiful Niagara-on-the-Lake is an Englishman by birth and grew up eating Normandy butter. Admittedly, the butter of his adopted country pales in comparison so he decided one day to make his own. For traditional table service, Peller Estate Winery Restaurant serves up rich icewine butter in place of the traditional bread dippers of flavoured oils and bold vinegars. Made by chef de partie, Molly Sloan, it’s simple heavy cream that goes into the machine and is whipped beyond ‘stiff peaks’ into the separation stage where the cream turns into butter and separates from the buttermilk. It’s that simple. In fact, making butter is such a basic skill that a six-year-old can make it from fresh cream, a jar and some elbow grease. Think about it, anyone who has ever over-whipped cream (yes you have – admit it!) has unwittingly made butter. No jars and elbow grease at Peller, not even wooden butter churners, but slick stainless steel efficient equipment 10 times the size of a household electric mixer. As the milk begins to separate it becomes a real messy job as the solid bits begin to slosh against the watery buttermilk and splashes all over. The entire process lasts approximately 15 minutes and you have butter. Next Molly drains away the buttermilk (uses it for baking and making crème fraîche) and squeezes out every last drop with her hands creating big balls of butter that go into ice water to firm up. The ice water is now littered with blobs of hand squeezed butter and she reaches for a shaker of salt and a measuring cup filled with an icewine reduction that’s a dark, molasses-like liquid. Molly takes each hunk of butter and puts them on a cold marble slab, presses it out flat and drizzles it with salt and reduced icewine. Then she kneads it like a loaf of bread to mix the flavours before it’s put into a brick mold and refrigerated. Home made butter will last a few weeks in the refrigerator. Butter is fat and fat is notorious for picking up flavours and odors of foods around them (ah, some of you are remembering an unpleasant experience?). But butters ability to absorb flavours is not always a bad thing. Chef Parsons uses it to his advantage in making icewine butter. Compond or infused butters can be found at many restaurants from garlic and herb butter to truffle or coffee butter. In fact most aromatic foods can be infused into butter with great results such as chocolate, vanilla, citrus and even peppermint! When butters absorbing abilities are unwelcome or that oxidized skin appears when you’ve left the butter out for a few days, it can be disappointing. But I’ve found a simply brilliant solution to keeping butter fresh and speadable; a butter bell. It’s a simple concept. Put soft butter inside the crock which is attached to the underside of the lid. Fill the bottom with cool water and put the butter filled top into the crock. The water seals the butter, locking in its freshness. You can leave the butter bell on a kitchen counter for up to three weeks and know that you’ve got fresh, spreadable butter whenever you want it. The most flavourful of all butters is cultured. 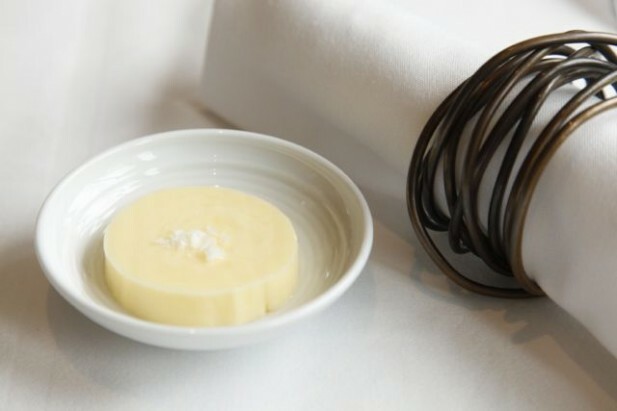 The equivalent to reserve wines, cultured butter is simply fuller, richer butter with a tangy finish. The cream has been soured and allowed to ferment or “ripen” at room temperature prior to ageing in the refrigerator. Like making crème fraîche, bacterial action develops fuller aromas and flavours that carry over into both the butter and buttermilk. From this you can make the most amazing buttermilk biscuits that are the perfect host for a smear of fresh, delicious cultured butter. Many high end chefs tend to overlook butter because of its simplicity, but not any longer. The likes of Gushue and Parsons are showing that simplicity counts in customization and bragging rights for butter. Hi Lynda, Yes there are many farm dinners across Ontario but for some reason there isn't one single portal where they are all listed. Looks like a great opportunity for someone, but in the meantime I like the Oxford Garden Party on July 9, Aug 11 is Muskoka's Field to Fork event and same day is Outstanding in the Field event in Bradford. 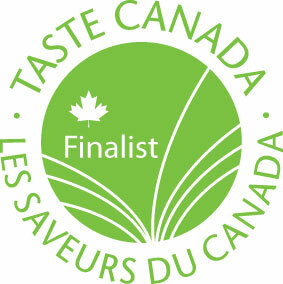 You can try the Ontario Culinary Tourism Alliance website at www.ontarioculinary.com or Greenbelt Fresh at www.greenbeltfresh.ca. Both sites list events. Good luck and have fun! Butter with icewine - now that's an interesting concept I hadn't thought of! Lovely post, thank you. Hey Christine, yes I'm really into compound butters and this was incredibly delicious! Hi Lynn is there a place were we can by butter from farm to table? I live in Oxford county and you know we have Gunn's Hill cheese which is wonderful. Jakeman's Maple syrup Red Barn Berries and more. and a Saturday morning farmers market that can take you back to your childhood. It has just been recently that we heard of the Garden Fresh Basket and have taken it for the past 6 months.......and wonderful. But have not seen farm fresh butter.